Raptis Pax promotes a Corporate Policy of Environmental Consciousness through implementation of an environmentally friendly processing and product range. At Raptis Pax we collect all our scraps and all materials used in the manufacture of finished product and compact them which are subsequently reconstituted into materials for re-processing and recycling. 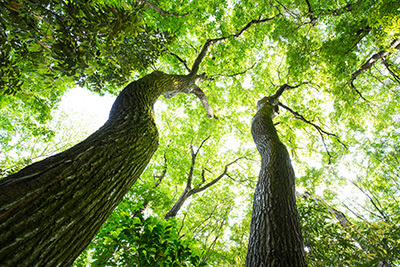 Raptis Pax contributes trees to the Living Trees Project towards environmental rehabilitation and carbon neutrality whilst also being a premier supplier of PLA (Polylactic Acid) nationally as part of our commitment to renewable and biodegradable resources. By following the below recycling tips, you can do your part to conserve our natural resources and protect the environment for future generations. To help identify the different types of plastic, manufacturers stamp a plastic identification code on their products. This code is a number inside a triangle with chasing arrows. In Brisbane, you can recycle all plastics with the codes one to six. This includes most plastic packaging used around your home. Check the identification code on the item to ensure that it can be recycled. Wipe or rinse all liquids and food scraps from the plastic. Save water by rinsing your recyclables in used dishwater after you have finished washing up. Squash the plastic as flat as possible. Place the plastic into a yellow-lid recycling bin. You cannot recycle plastic shopping bags, expanded polystyrene packaging and thin plastic wrapping because this plastic cannot be pelletised and reused. Put these items in your general waste rubbish bin. Description: A clear, tough plastic, which may also be used as a fibre. This type of plastic is used in: Soft drink and mineral water bottles. When this type of plastic is recycled, it is used in: Soft drink bottles, (multi and mono-layer) detergent bottles, clear film for packaging, carpet fibres, fleecy jackets. The following items made with this type of plastic cannot be recycled: Filling from sleeping bags and pillows, textile fibres. Description: This is a very common plastic, usually white or coloured. This type of plastic is used in: Milk and juice bottles, bottles for shampoo and cleaners. When this type of plastic is recycled, it is used in: Compost bins, detergent bottles, crates, mobile rubbish bins, agricultural pipes, pallets, kerbside recycling crates. The following items made with this type of plastic cannot be recycled: Crinkly shopping bags, freezer bags. Description: A hard, rigid plastic, may be clear. This type of plastic is used in: Clear cordial and juice bottles. When this type of plastic is recycled, it is used in: Detergent bottles, tiles, plumbing pipes and fittings. The following items made with this type of plastic cannot be recycled: Blister packs, plumbing pipes and fittings. Description: A soft, flexible plastic. This type of plastic is used in: Plastic bottles and caps, ice-cream containers. When this type of plastic is recycled, it is used in: Film for builders, compost bins, garden edging. The following items made with this type of plastic cannot be recycled: Garbage bags and bins, black plastic sheets. Description: A hard, but flexible plastic. This type of plastic is used in: Ice-cream containers, plastic takeaway food containers. When this type of plastic is recycled, it is used in: Compost bins, kerbside recycling crates, worm factories. The following items made with this type of plastic cannot be recycled: Potato crisp bags, drinking straws, hinged lunch boxes. Description: Rigid, brittle plastic. May be clear and glassy. This type of plastic is used in: Yoghurt and dairy containers. When this type of plastic is recycled, it is used in: Clothes pegs, coat hangers, office accessories, spool, rulers and video/CD boxes. The following items made with this type of plastic cannot be recycled: Plastic cutlery and imitation crystal ‘glassware’. Other: Includes all other plastics, including acrylic and nylon.